Dentists will tell you the best toothbrush is the one you actually use. But they will then say the better the coverage of brushing to remove that destructive home for bacteria in plaque, the more likely you will avoid tooth decay and disease. 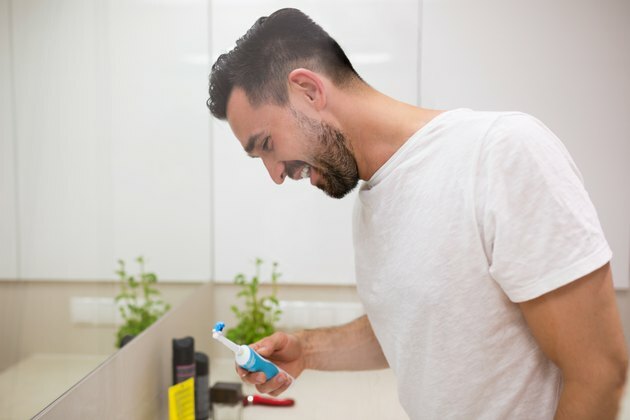 Besides being an effective aid to good brushing for handicapped or arthritic users, electric and sonic toothbrushes will tend to get that better coverage and brush-to-enamel time that dentists recommend—at least two full minutes. Electric toothbrush technology has been around about 50 years, and some of today’s electric toothbrushes have changed little in the basic rotating motion of the brush. Adding vibrations, oscillations and any other movement to give better coverage should result in better tooth cleaning and plaque removal. Therefore when it comes to the type of electric toothbrush purchased, the more movement, the better. Other features like a timer, power levels or rechargeable batteries may or may not be helpful for any particular user. Because the amount of movement and coverage of brushing are the predominant factors in preventing tooth decay, a comparison of electric and sonic toothbrushes for those factors should reveal which might be a better choice. Both traditional electric and sonic toothbrushes have rotating and oscillating features to remove plaque. The differences have to do with speed of brushing and coverage. Electric toothbrushes tend to have rotation at between 2,500 and 7,500 brushes per minute in comparison to only 300 manually. Sonic brushes have an estimated 30,000 brushes per minute, according to the Animated-Teeth.com website. That extra-fast movement means even a brief toothbrushing time will accomplish more with sonic type brushes than standard electric toothbrushes and leave manual brushing in the dust. Another feature of sonic type brushes is that the high-speed rotation sets up a wave movement that extends beyond the actual brush contact points for about 1/8 inch. That means the brushing covers more surface, an added advantage for those hard to get at places along the gum line and between teeth and bridge work. The pressure on liquids and bubbles around the speeding brush adds fluid dynamics that reach farther than the actual brush can. Because of the added coverage of sonic toothbrushes as well as significantly higher-speed brushing, time spent with sonic toothbrushes seems to result in more brushing and better tooth hygiene. While complete coverage of tooth brushing can be accomplished by manual or traditional electric brushes, the sonic choice would seem to have the most going for it.